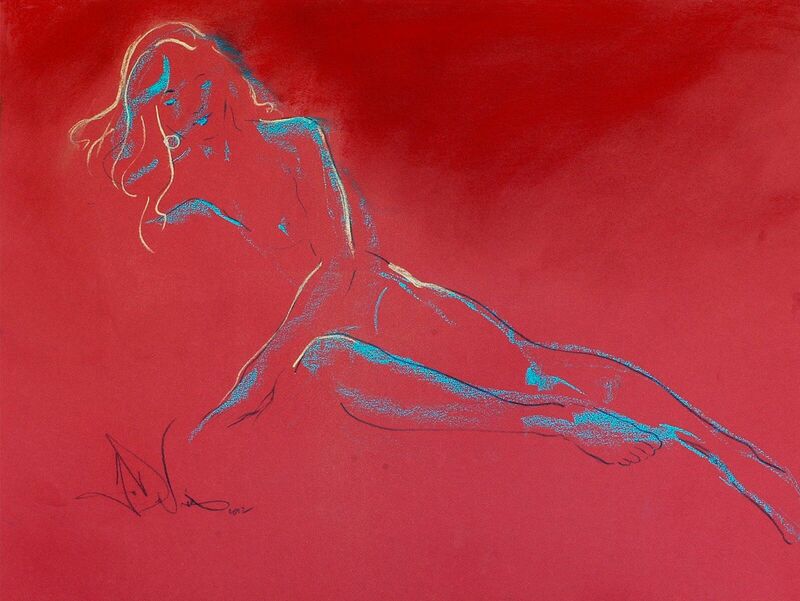 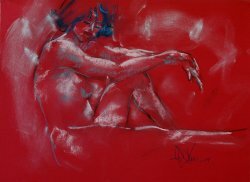 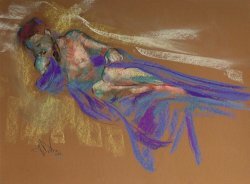 Shades of Red is an original pastel painting done from a live model in the studio. 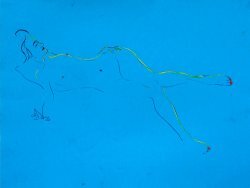 I added red pastel onto the already red paper to achieve even more contrast with the figure which is suggested by blue, gold and black pastel lines. 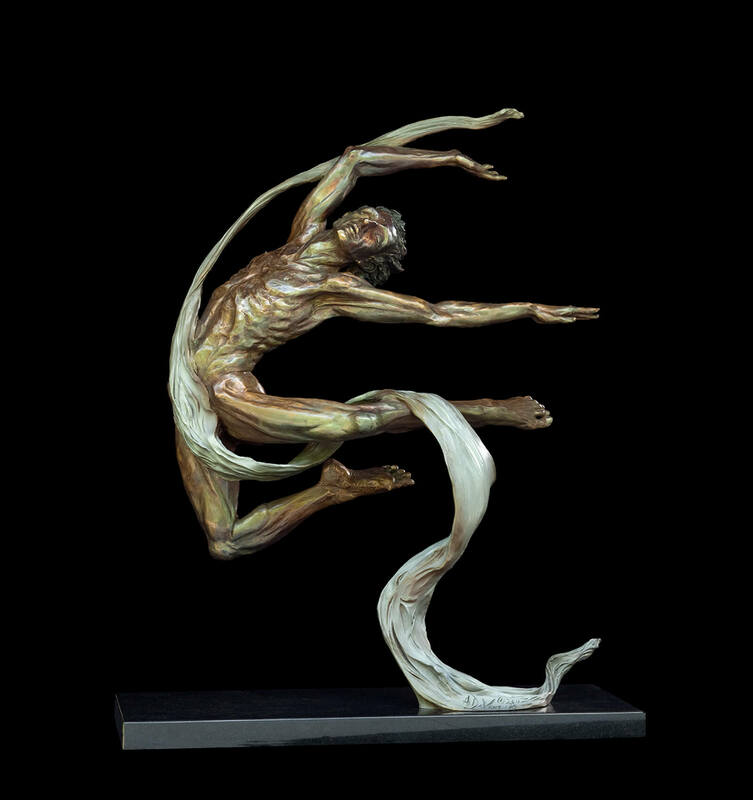 It takes many years of drawing the figure to bring it to such refined minimal state – an essence.